One of the most popular options for investors approaching retirement is using an annuity to round out your retirement nest egg. Annuities have finally ditched their past less than stellar reputation to, once again, find their way into investors good graces. For investors looking to diversify their retirement portfolio and provide a steady stream of income, annuities may offer a great choice. But, investors must be careful to avoid several critical mistakes when choosing the right annuity for their needs. Annuities are an insurance product. You provide an insurance company with a lump sum amount, and in turn they provide you with a guaranteed income stream for as long as your contract states, usually for life. The safety of your future income stream and guarantee are only as good as the underlying insurance company that backs your annuity. So, you should seek out and conduct business with only the best insurance companies. You should look for companies with strong ratings from A.M. Best, Standard and Poor’s, or Moody’s. You should look for at least an “A” rating from A.M. Best or an “AA” from Standard and Poor’s. Annuities have had the reputation in the past of charging its customers high fees and providing some of the advisors that sell certain types with large commissions. While there are still annuities out there that may charge a lot of fees, there are others out there that do not. The market for annuities has opened up, and competition has entered the marketplace increasing the number of businesses that offer them. With increased competition, fees have decreased and options have increased. The resurgence of annuities have brought them back to the forefront of investors looking to diversify. There are many different terms that insurance companies use with describing annuities. 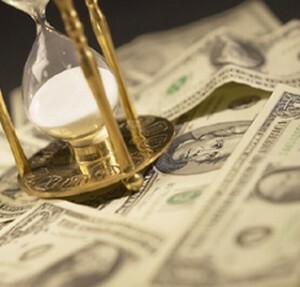 There are immediate, variable, and a slew of other types of annuities available to the investor. There are also clauses in different types of annuities that can make a world of difference and potentially cost you a lot of money. Some annuities offer the clause to pay you for “life and ten years certain”, and others will pay you for “ten years certain”. While they sound the same, they are definitely not. Life and ten years will pay you for ten years or for the rest of your life whichever is longer. Ten years certain will only pay you for ten years from the start day and no more. That can be a huge difference to you and your heirs. Like a savings account that is FDIC insured to protect you and your savings against your bank failing, annuities and the insurance companies that back them are insured as well. But, the catch here is that the limit for annuities is only $100,000 in most states. If you have invested a lump sum over that amount, you would be in danger of losing some of your principle should your insurance company fail. You can mitigate your risks by investing with multiple insurance companies if you have a lot of money to convert into annuity payments. Only invest up to the maximum insurable by state guaranty associations in order to protect yourself, and then move to an additional insurance company. Annuities are a great option to diversify your investment income in retirement. They provide investors with an income stream usually for life. While there are a few pitfalls that must be avoided in order to have a safe retirement nest egg, these trouble spots are easily sidestepped with a little prior planning and careful consideration.